Words from Jimmy Hales about whatever. Winding down my college career, I didn't have too heavy a schedule which allowed me to play a lot. Life was easy. I just had a few more hoops to jump through. Dinner with friends was a regular part of life. It was Scott's birthday here (the guy sitting across from me). Jake was always bringing us to fun new places to dine. I miss all of these guys so much. 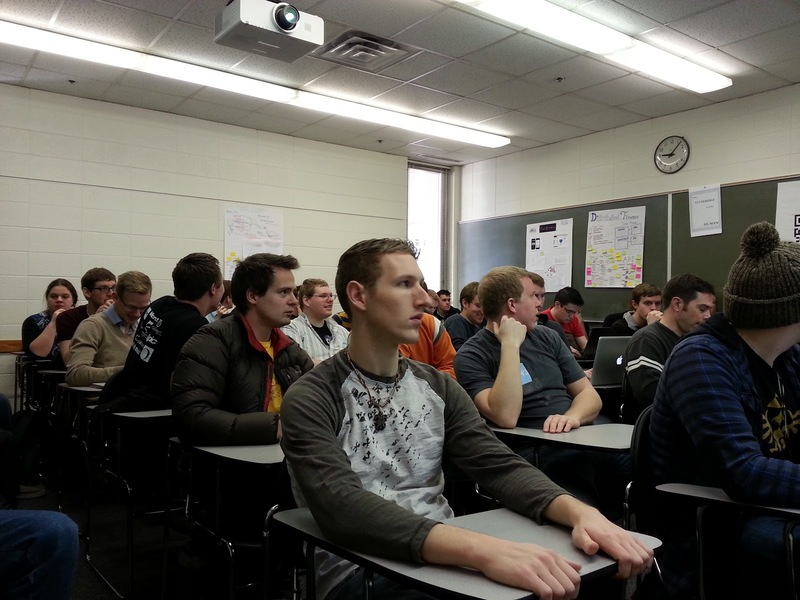 A typical class I regularly found myself in. This is one of the last computer science classes I ever took. I miss the classes so much, just not the deadlines. 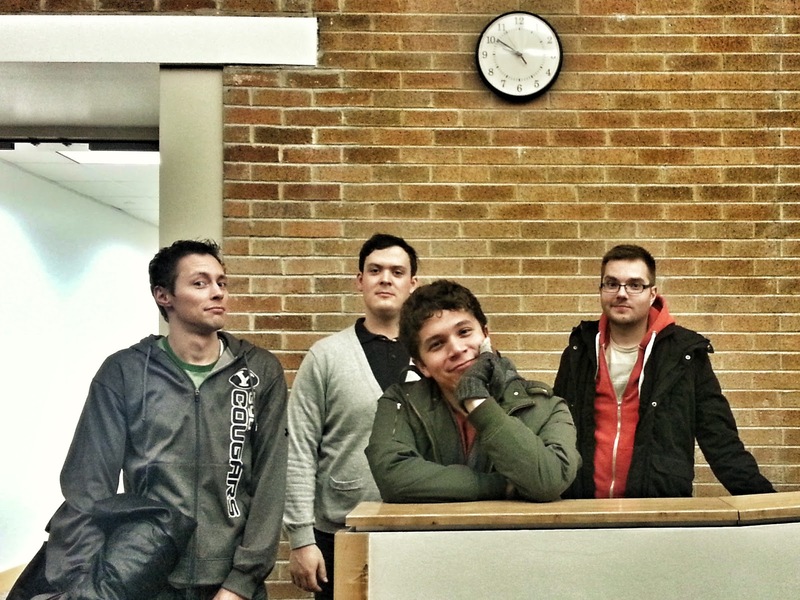 Febrary wasn't much different from January, just more school, friends, and random adventures with random fun people. 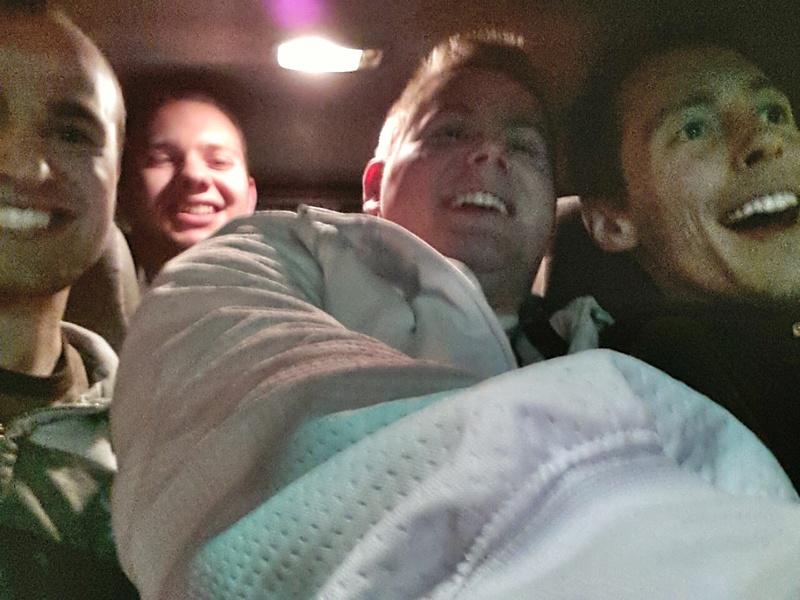 I'm not sure why/how we decided to take my truck when we had four people together. Everyone else in this picture had a car with more seats than my truck. College. 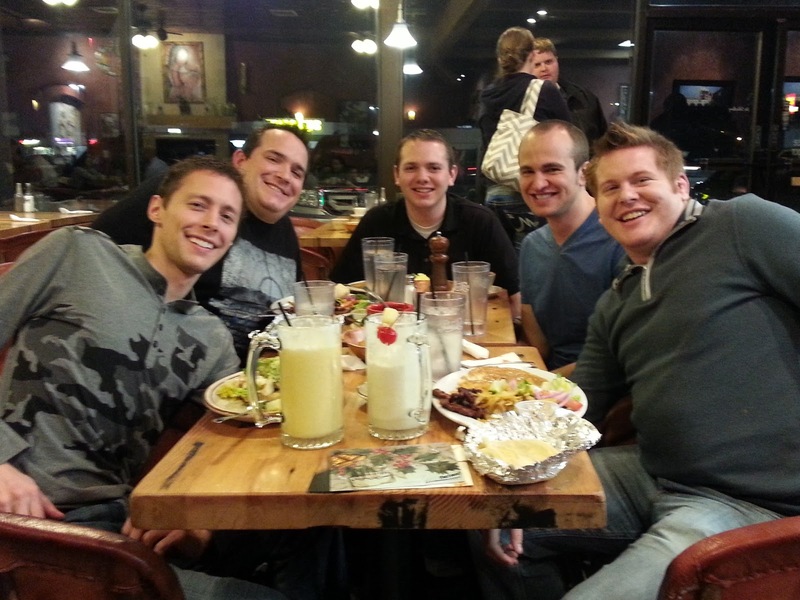 These are some of my favorite LGBT BYU students I went to school with. I locked my keys in the car for the first time in my life. Luckily BYU had a cheap service for students, so it only took 30 minutes out of my day as well as $20 out of my wallet. March was a pretty social month for me. Again, not too different from the other months preceeding it. 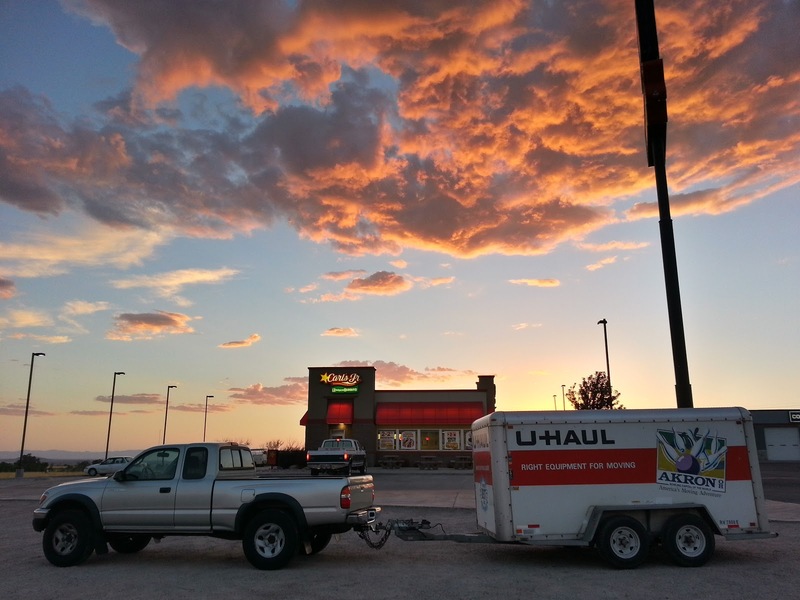 I was aware I would be leaving the state at this point, so I was trying to make the best of it. I think I did a good job. 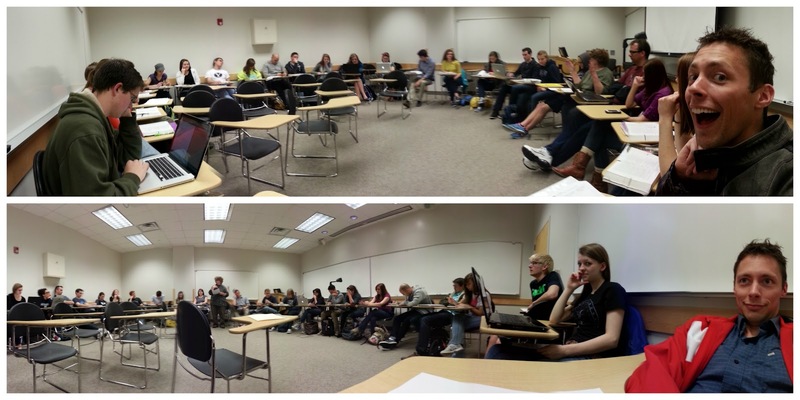 I would get bored in class and take a panorama shot to spice things up. Here I am in a GE class (poetry) filled with freshmen girls. It was fun. I was like the older brother of the classroom. Abby, the girl in this gif, was in the above shown class. She worked at a little shop on campus and I'd swing by and visit her because she's awesome. Left: Chloe! I love her so much and miss her. Middle: Me and Carson Tueller Right: Roommate Chris and temporary roommate Jimmy. We went to the arcade this night to play oldschool games. This picture defines my senior year of college. The beginning of my gastroparesis. My stomach doesn't digest liquids well, so I usually just throw it up. It's been hard, and running has been difficult, but I'm slowly finding out ways to deal with it. I did a trail run Ragnar! It was very spontaneous of me. My friend and I joined a team the day before. 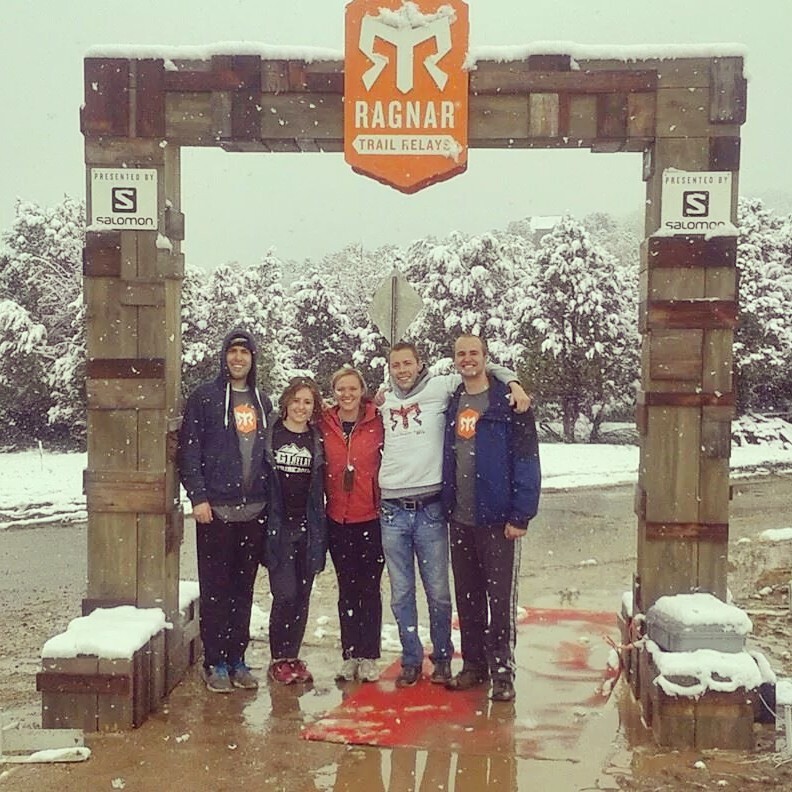 Zion's Ragnar ended up getting snowed out 18 hours into the race. I was totally sick with a cold and it was freezing, but it was a lot of fun and I got to spend some quality time with my dear friend Dillon. 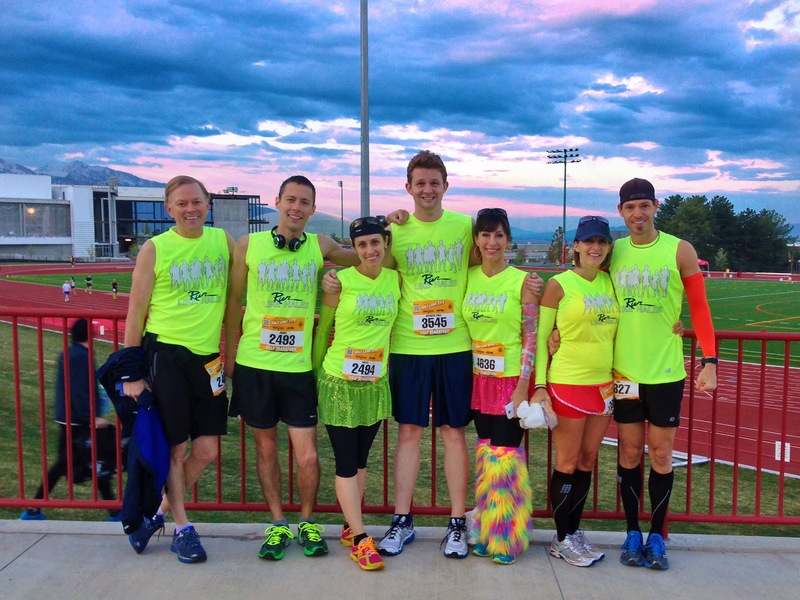 My family runs the Salt Lake City Half/Full-Marathon every year. Notice my brother Dallin isn't here. He was serving his mission in Tuscon, Arizona. I set a new PR this time which was totally unexpected because of minor injuries I was having. 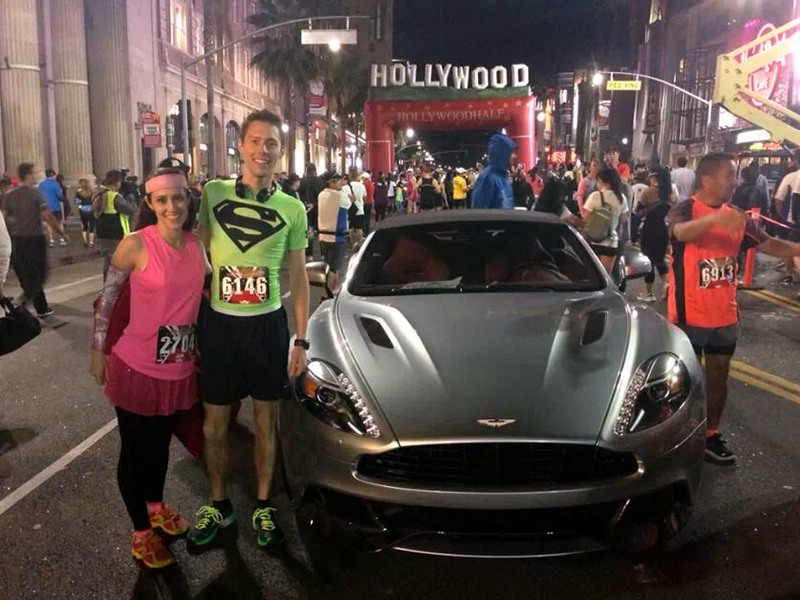 Here I am in Hollywood California running the Hollywood Half-Marathon with my sister Jolie. She and I always have fun with the random races we run together. I love my random getaways to California to run a race with my sister. So therapeutic. Classes for winter semester also ended this month. I had one more class to take of my college career. I took it during the fast track spring semester. Almost done with school! With the weather getting better, I found myself spending more time outside. Other than that, May wasn't too different from all of the other months before it. 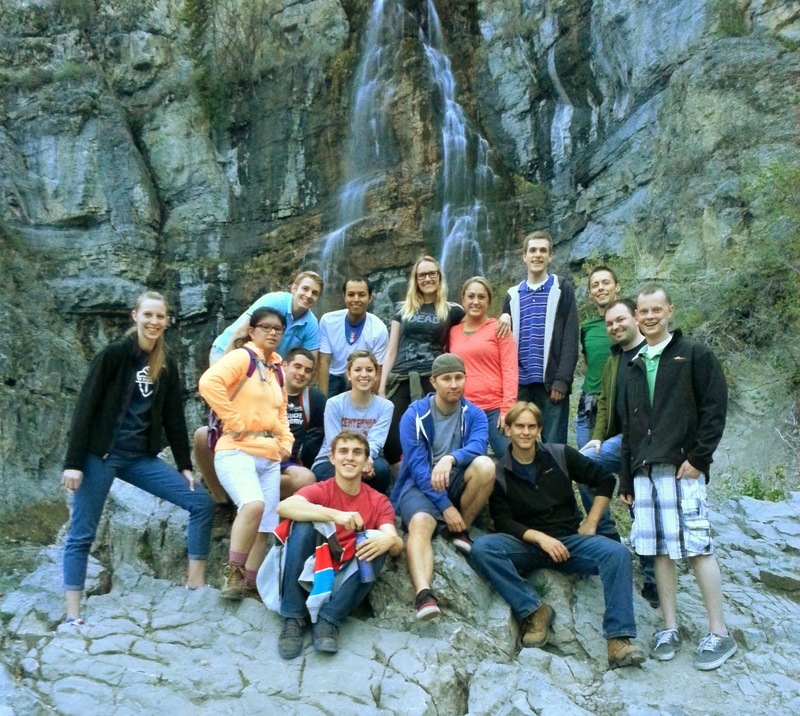 BYU is surrounded by so many beautiful hiking trails! 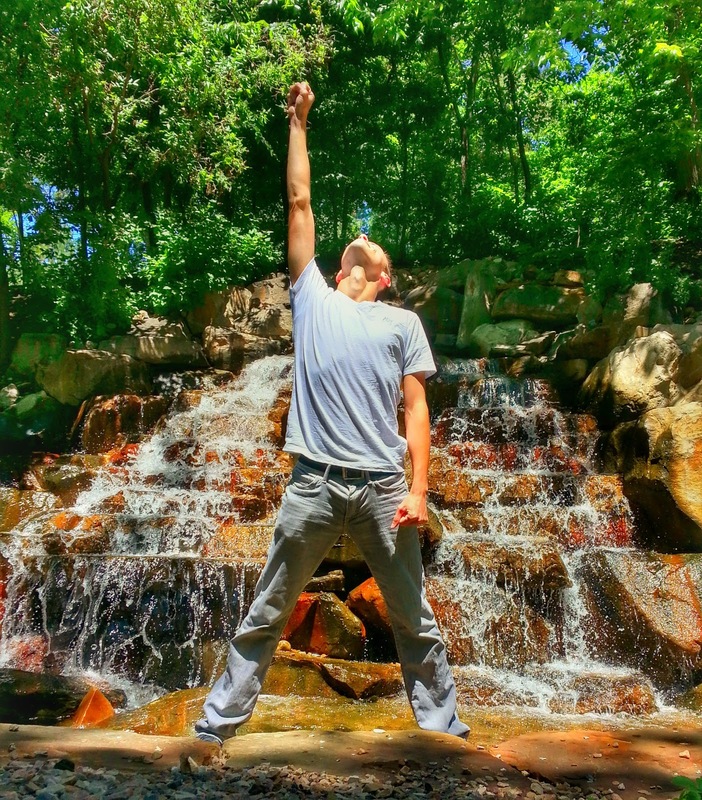 No, hiking the Y is the dumbest hike on the planet. Hiking to the top of Y mountain, however, is fantastic. 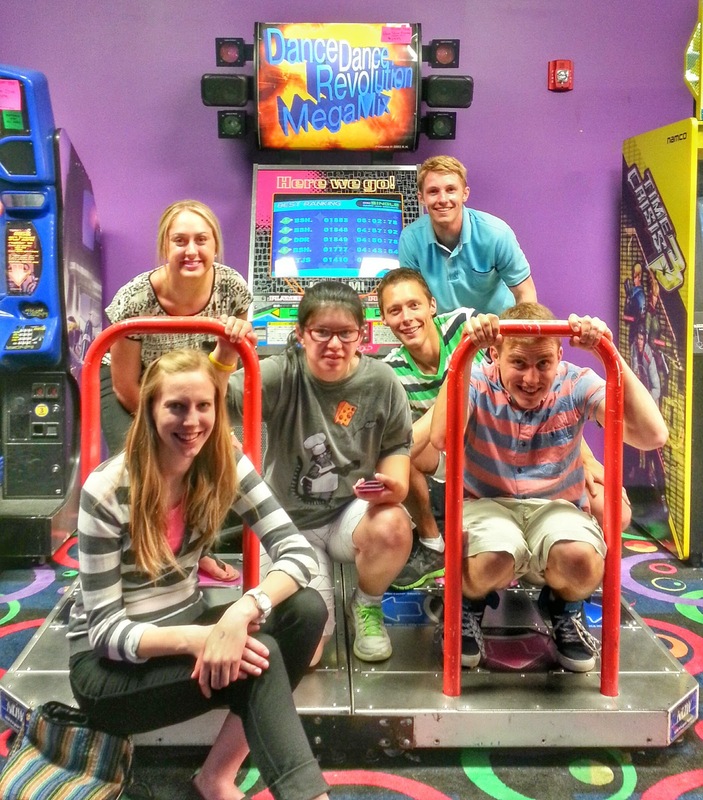 I buddy Evan (blue shirt) and I began recruiting people to go play Dance Dance Revolution with us at a local arcade. I will never get sick of that game. I graduated! 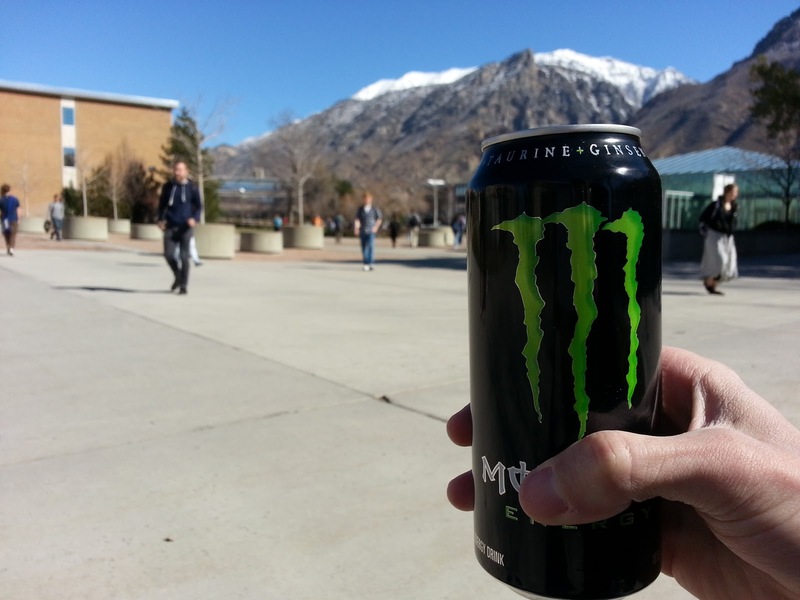 Below is I picture I took on BYU's campus just a minute after I walked out of taking my last final. The feeling was incredible. After I took this picture I put on my headphones and blasted my favorite tunes (mostly Kelly Clarkson) and walked all around campus, inside and outside of the buildings, remember the many many memories of what took place there. That's 6 years of my life on that campus. Jake would often pitch the idea of doing a campfire up in the mountains. We're on the top of Squaw Peak here. 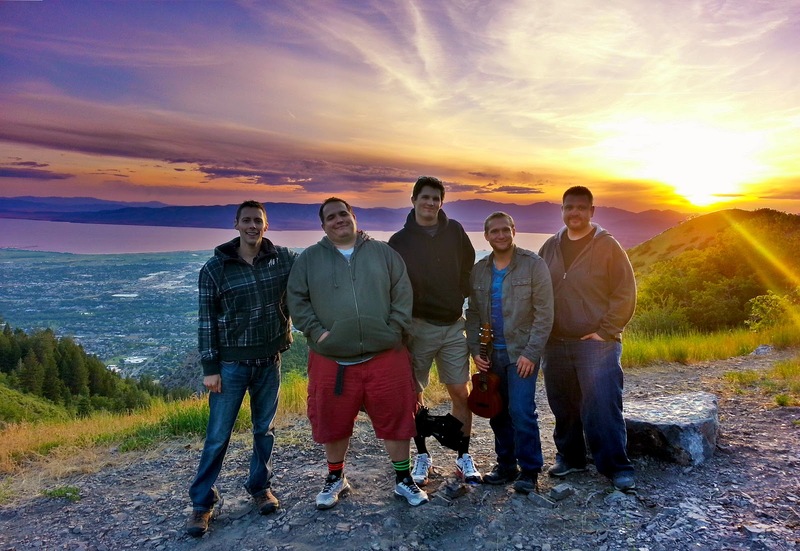 Behind us is Utah valley and Utah Lake. 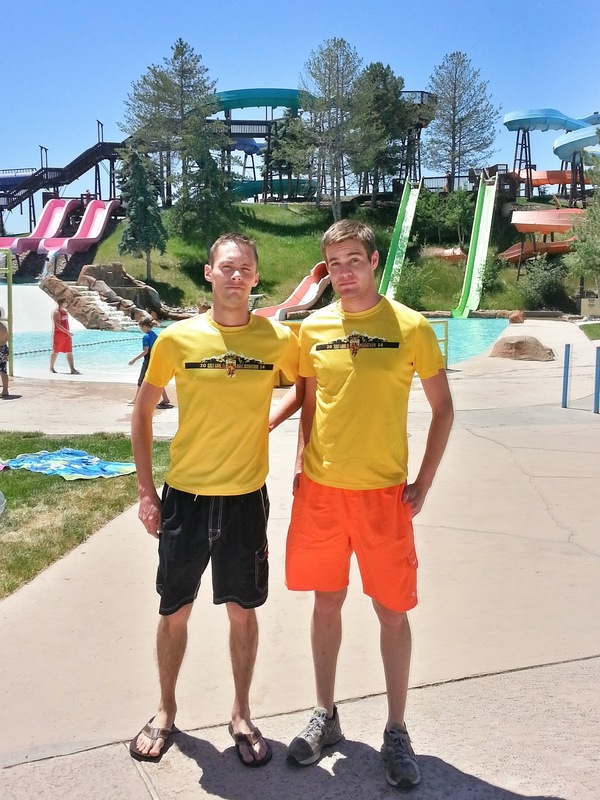 Here's my running buddy Briggs and me at a local water park sporting our sweet Salt Lake marathon shirts. Since I already had my job lined up, I went to Phoenix where my sister and brother-in-law live to find myself some housing for when I moved down here. I always enjoy spending time with these two. 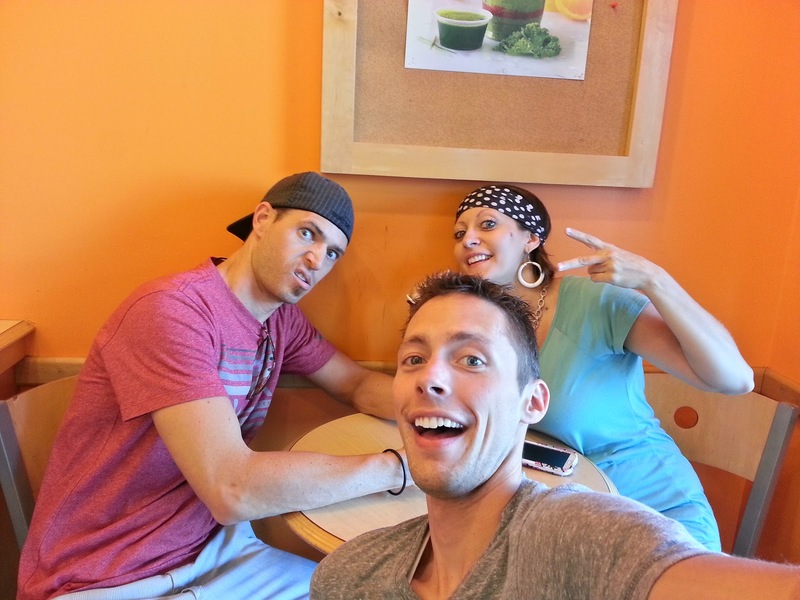 I think Christy wanted a Jamba Juice or something (she was pregnant) so here we were. 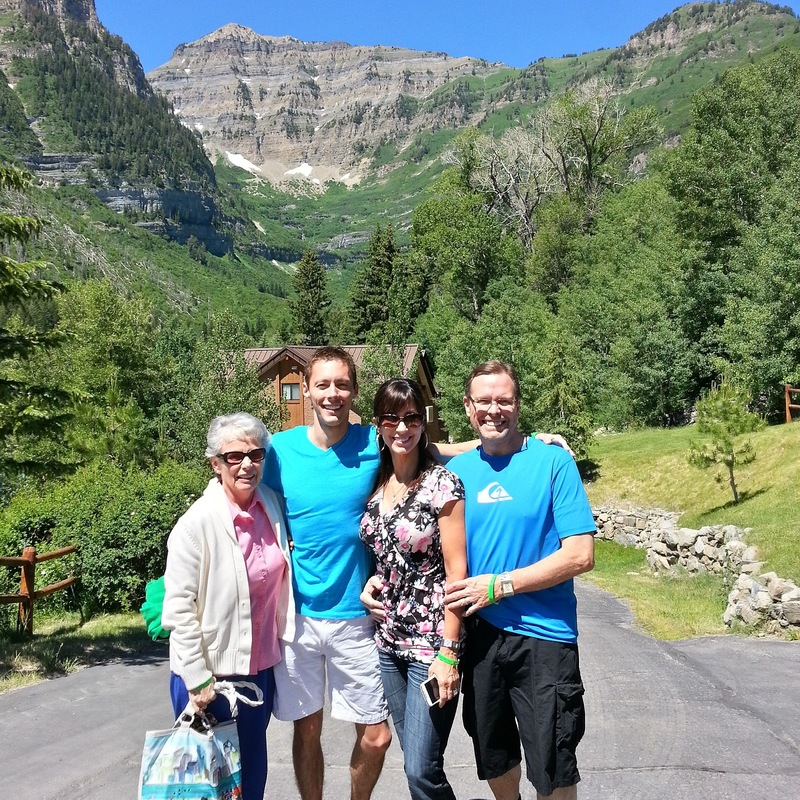 I spent a weekend with my mom and step-dad Jeff up at Sundance at a big family reunion thing. It was kind of my last time I could spend time with my mom before I left the state. 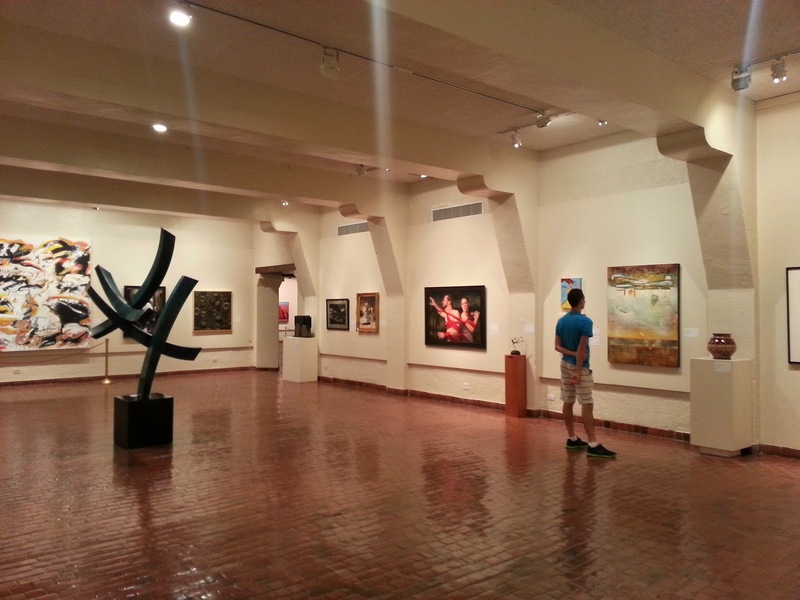 I moved to Arizona! The drive down was crazy slow because of the huge trailer and my weak as truck. It took me 18 hours to arrive in phoenix. I stopped at 1:00 am in St. George, Utah to take a two hour nap, but other than that I was driving. I listened to Linkin Park the entire drive. Right after I took this picture I went into Carl's Jr., exept they literally locked the doors to close for the day as I was walking towards it. Booo. At least I got a nice picture. Bam! I was suddenly back in Utah to attend my sister's wedding. Here we are at the wedding luncheon. 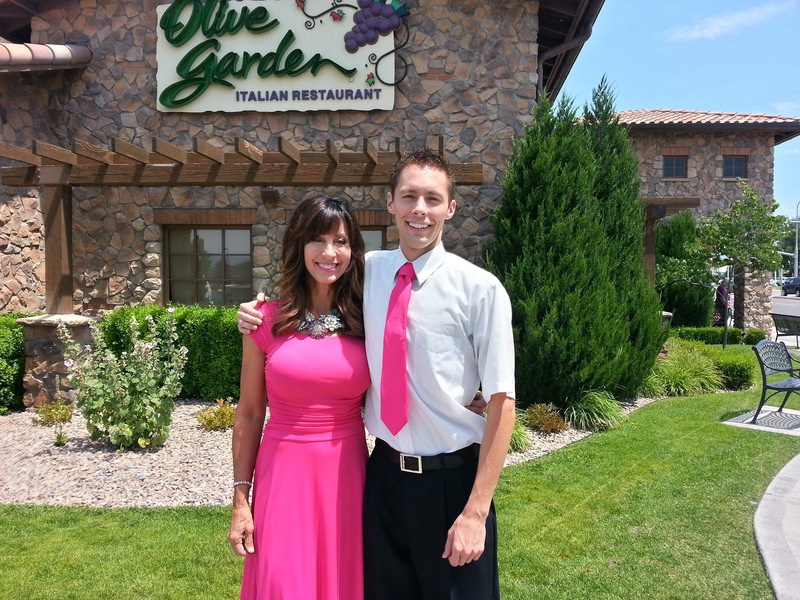 It happened to be the exact restaurant where I came out to my mom. 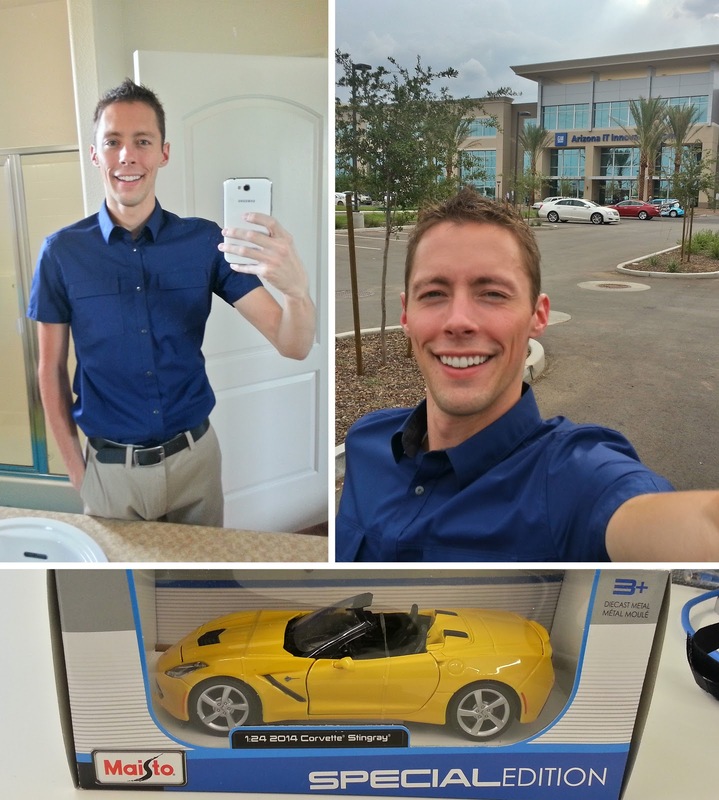 My first day at work as a big boy! I had no idea what to expect. They gave us a model Corvette on the first day. I have always loved cars. It was time to jump start my social life. I quickly discovered that the majority of single Mormons in this area grew up here and mostly live at home. Thus, they already had esteablished long-term friendships and aren't particularly quick to invite in an outsider. This wasn't helpful. In the end, my friends are mostly from work and CrossFit. 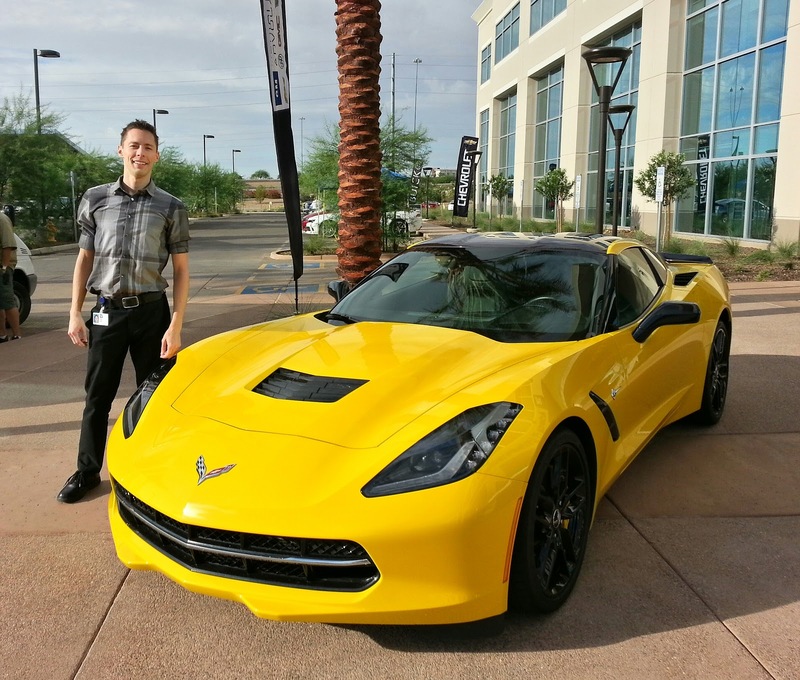 A new Corvette Stingray sitting happily at my work. We occasionally have cool GM cars at the office. Christy and Ben got me going to CrossFit and I love it. 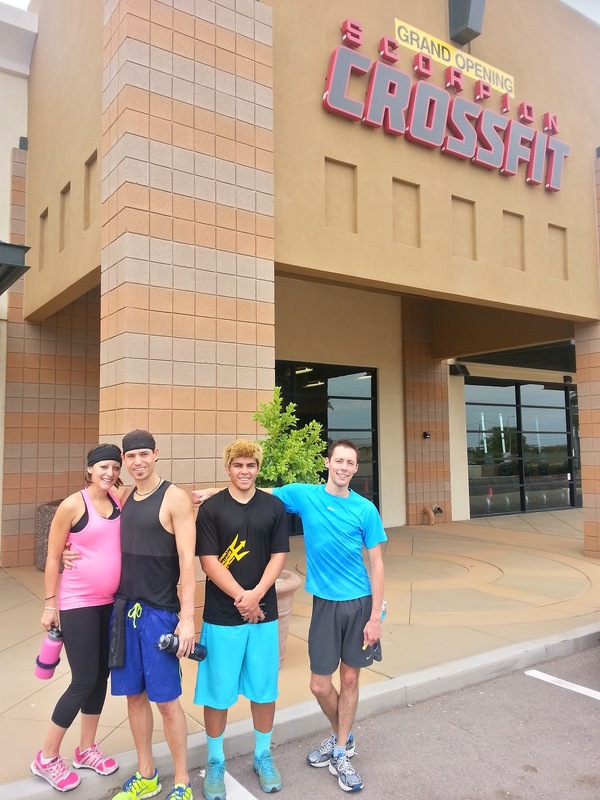 My buddy Jesús (standing next to me) who I work with also goes to CrossFit with me. 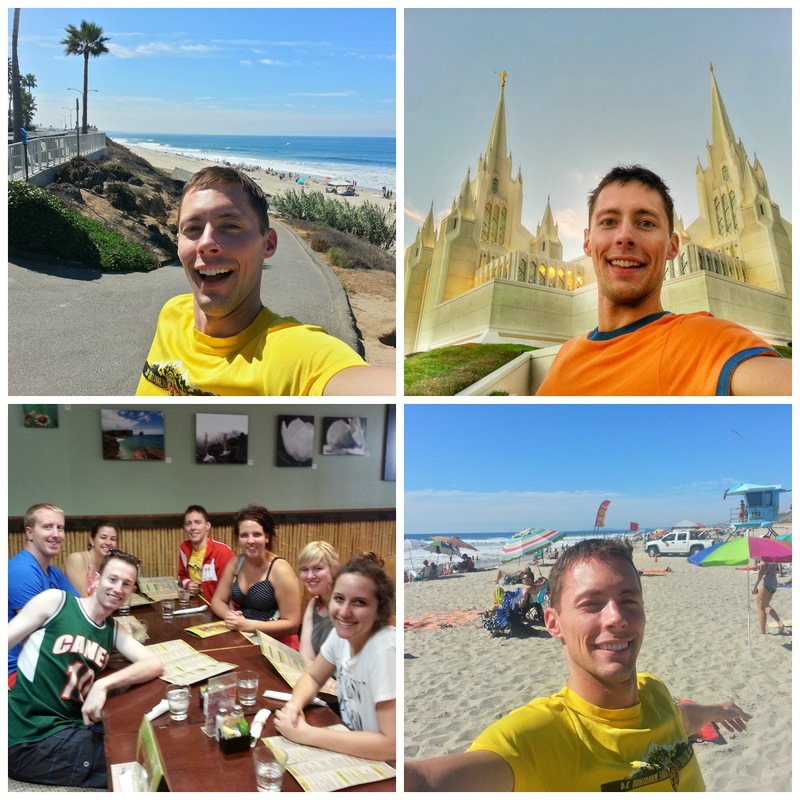 I hopped on a bus filled with complete strangers and spent a weekend with them in San Diego. We drove there overnight both ways. It was a lot of fun. Now that I had moved on from college and started getting into the groove of my new life, things began getting interesting again. 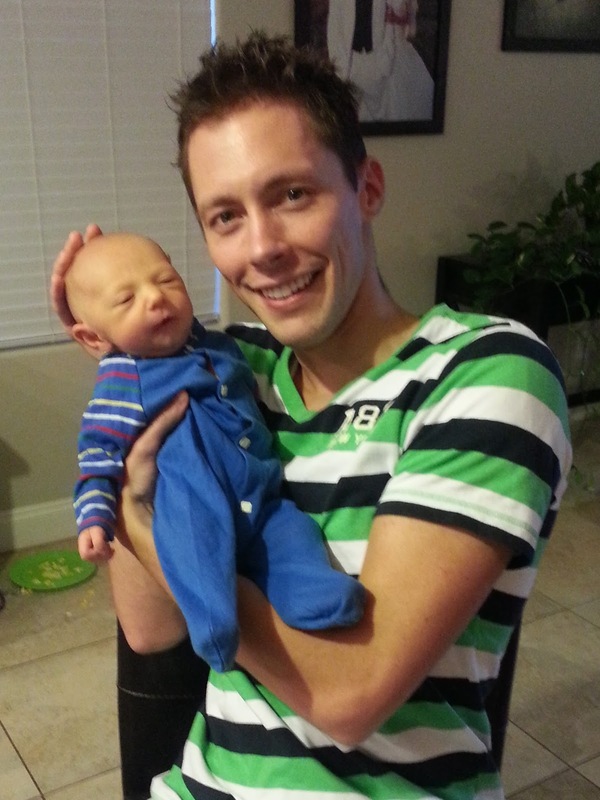 This month the first grandchild in my family was born. 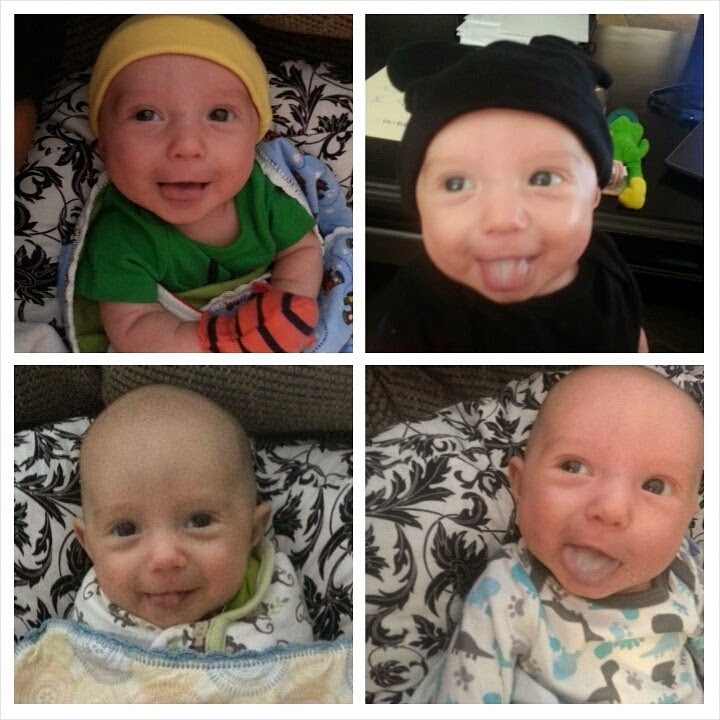 My nephew Bentley Buhr is the cutest thing ever! 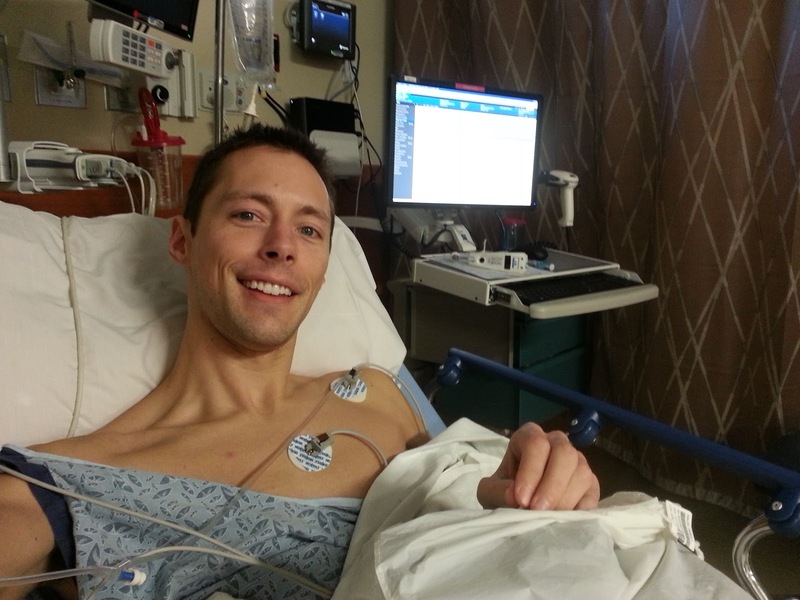 It was this month I had an endoscopy done in attempt to find out what's wrong with me. The weather began to be less hot, but it was still hot. Perfect, actually. 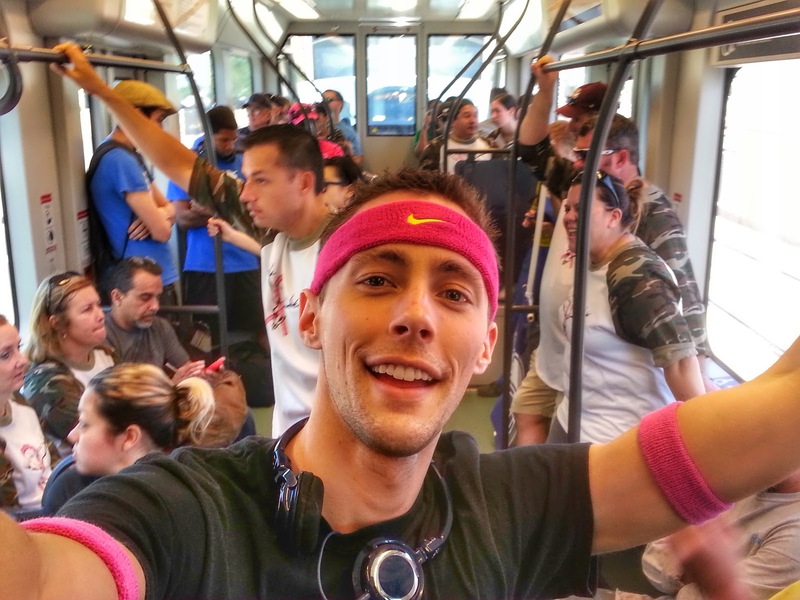 This month I participated in a walk against cancer. Taking the tram from the free parking lot to Tempe Town Lake. I met up with several coworkers from GM. CrossFit was keeping me fit. 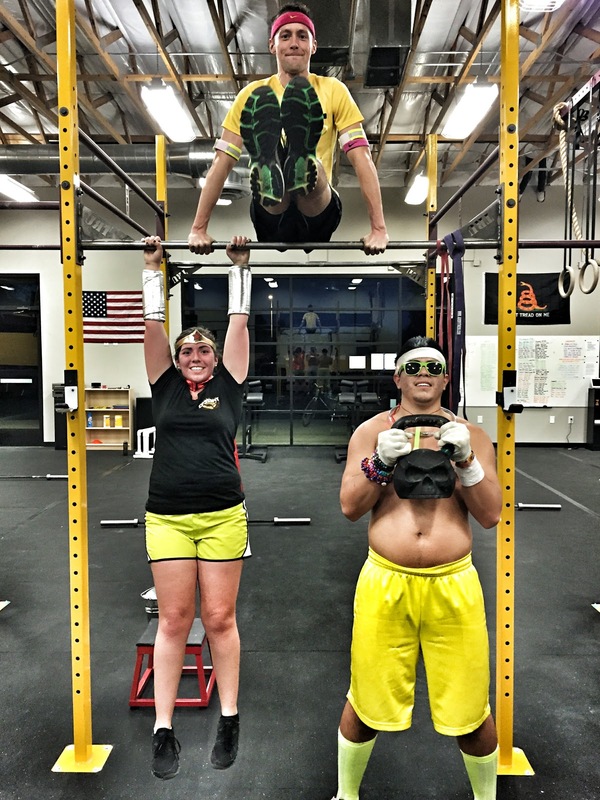 I still have to deal with my vomiting, which is affecting my performance at CrossFit. I really can't complain though. I'm grateful I can participate at all. 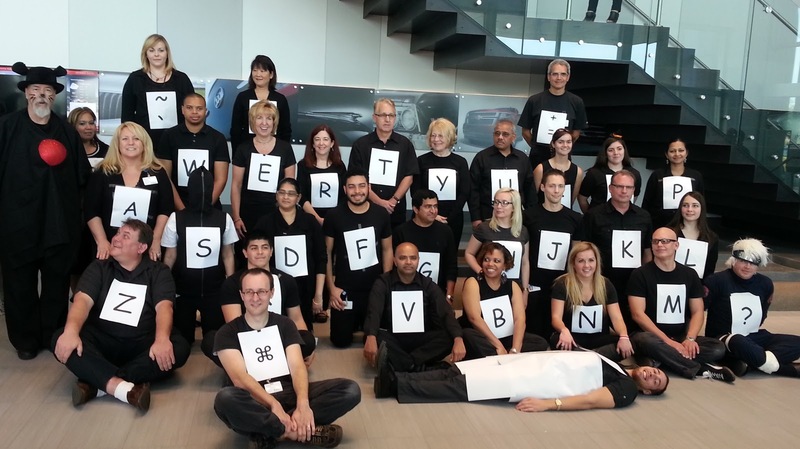 At work a small group of us decided to be a keyboard. I was the letter "J". Here I am with some CrossFit friends cheering on the three guys in the middle (from my gym) at a CrossFit competition. Competing is something I would LOVE to take part in, buuuut unless it's running I pretty much have no chance haha. 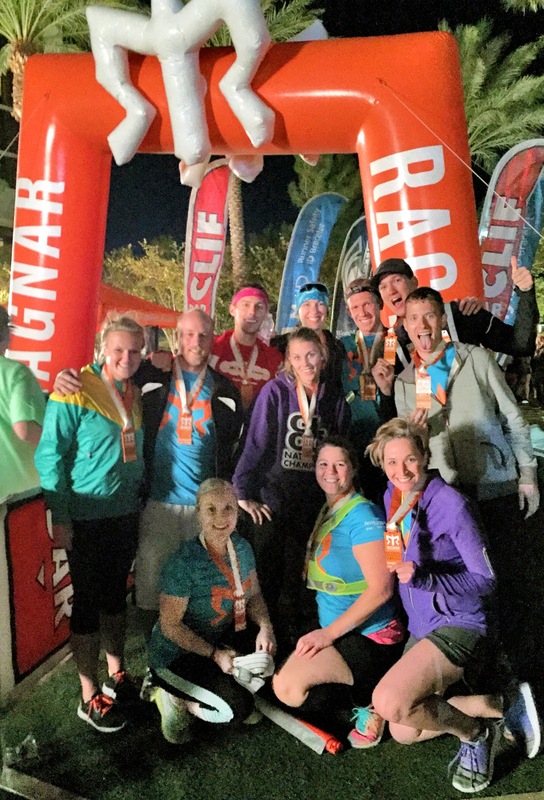 Then in November I joined a Ragnar team. 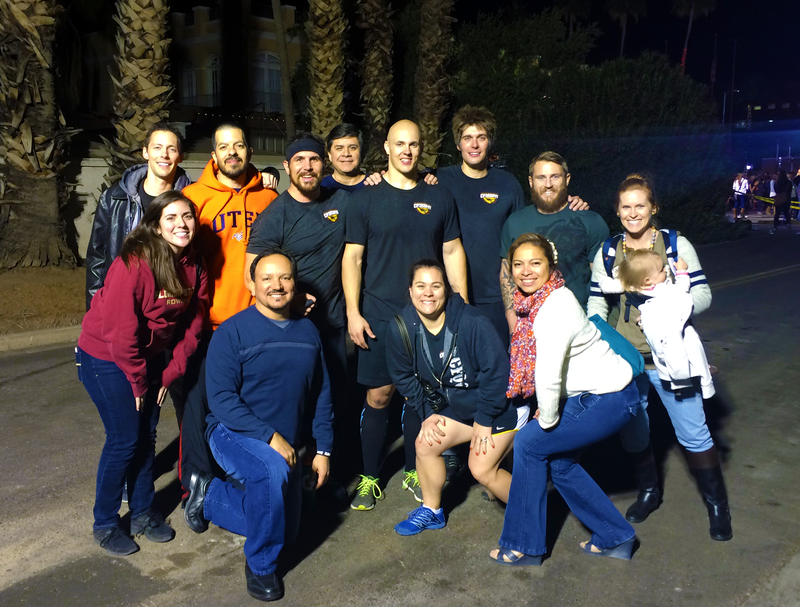 I only knew one person on the team, but there ended being a few people on the team (those who were in my van) who I grew to love very quickly. It was a lot of fun and I really want to do it again. My team's name was "Hot n' Sweaty" (like Hot n' Ready). My gallbladder starting attacking me, but luckily surgery was already scheduled. Sadly, I'm still vomiting, but at least I can work out again. Previously, if my body bent a certain way then my gallbladder would give me stabbing pain. 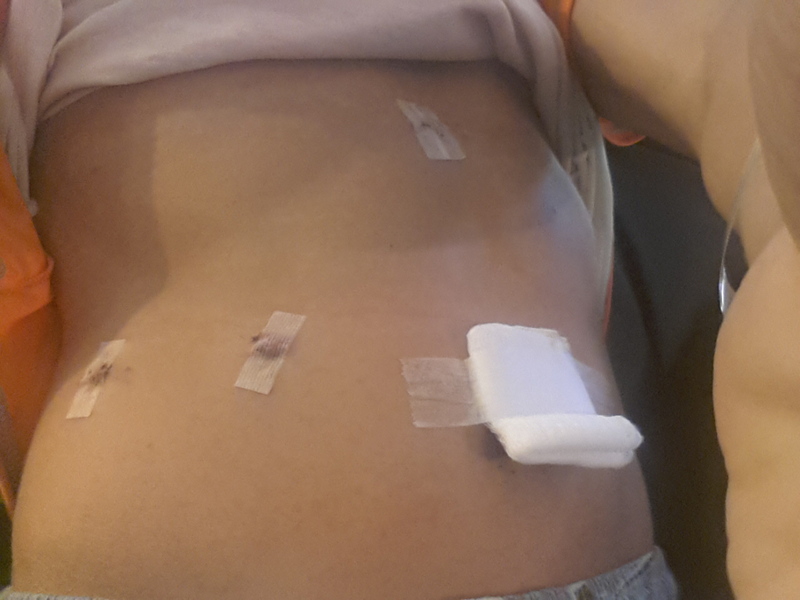 My very swollen abdomen just after surgery. 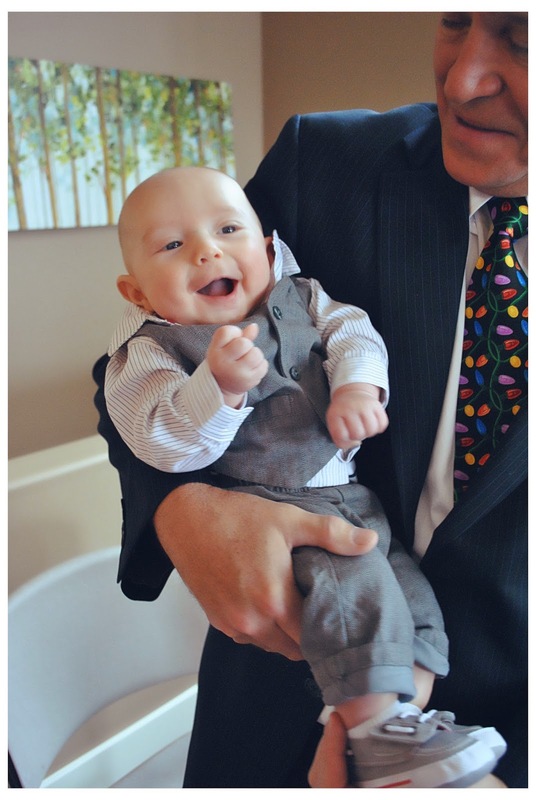 My nephew Bentley was blessed over Christmas break an this photo was taken just seconds after the blessing ended. He is soo cute! Then my family has this tradition where we make ginger break houses together at Christmas time. I actually made a short video (timelapse) of us making them which can be scene here. 2014 was a great year filled with friends and transition. I never know where life is taking me, but I know I'll be staying put here in Arizona for a little while. It's time to ground myself and establish some relationships. I have no idea what 2015 is going to bring. This excites me.